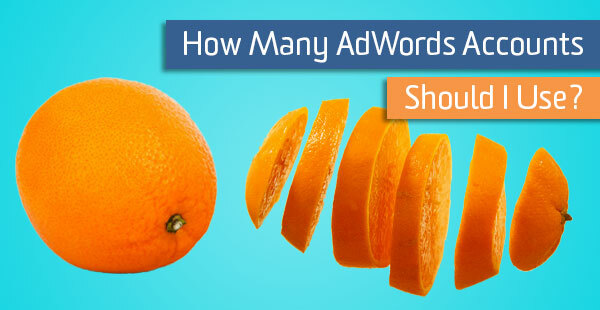 How Many AdWords Accounts Should I Use? This is a really great question and, as simple as it seems, an important one to consider before getting started with new campaigns. AdWords implementation is, unfortunately, never straightforward so do yourself a favor and answer a few questions before you create that first account. Typically, larger budgets require greater segmentation. If you intend to eventually give each of your business initiatives a significant portion of your digital budget, then it might be best to build account-level segmentation at this early stage. A few examples that we have worked with might include segmentation for various product or service segments or domestic and international targeting. How Do You Want Cost To Be Associated To Your Google Analytics Properties? Whenever you establish the linking groups in Google Analytics, the setting that pulls cost and click data into GA, it will pull ALL of the cost data into that associated property. Because the AdWords data is a separate data set, there is no way to segment that cost prior to import unless you build multiple AdWords accounts then individually link them to the most appropriate properties for reporting purposes. For example, if you have a B2C Google Analytics property and you import your cost and click data from a single Google AdWords property that represents ALL of your marketing initiatives, then your cost attribution will appear skewed in certain reports (unless, of course, you filter or segment your data in some way within the report). How Much Access Should Particular Users Have? 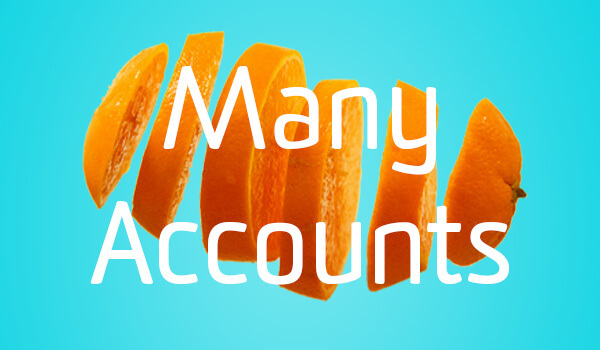 Kind of a no-brainer, but if you want to ensure that certain users can only make changes in campaigns that they are responsible for, then you should consider multiple accounts with multiple users of varying access levels. Another concern is that you may not want the team from Product A to know how much of the overall marketing budget Product B’s team is receiving this year. Using multiple accounts can alleviate “budget wars” in this case. Can You Handle Organizing This Level Of Complexity? One key issue you that you want to avoid while managing multiple accounts is having keywords that overlap across the account. This cause two problems: (1) lack of consistency in ad messaging and (2) increased costs overall. Both Account #1 and Account #2 are bidding on the keyword [ebooks] and are attempting to drive searchers into different experiences in order to complete different business goals. When the keyword is eligible to be triggered (i.e. someone searches for ‘ebooks’) AdWords will evaluate both accounts to determine which ad will win the auction, but because only one ad from any given domain can appear in search results, the ad with the highest “ad rank” (typically the highest bid) will win the auction. Essentially, you would be creating your own internal competition and unnecessarily driving up cost. You also lose a bit of control over messaging. Think of this same scenario for broadly-focused keywords. Which initiative gets priority for branded search or shared search intent? This should play a large role in how you structure your AdWords account(s). 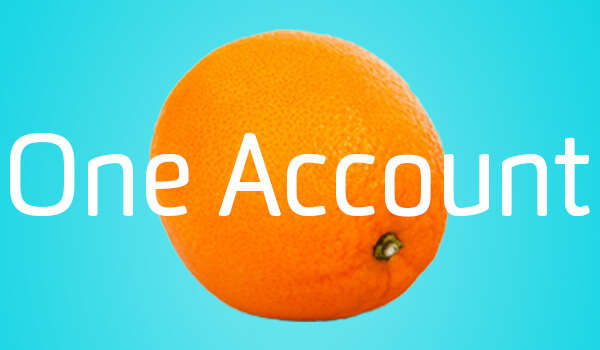 Prioritize the questions above to determine which what account structure is the right fit for your needs. If you are not concerned about sharing budgets with users and can trust them to not make edits in campaigns that are not their own, and if segmenting cost prior to importing into GA for more accurate attribution is also not a concern, then simplicity is usually best. Use one AdWords account and link it to all of your Google Analytics properties. Grant any users access as necessary. On the other hand, multiple accounts is best if you are concerned with privacy and attribution. Managing the overlap, as described above, between the accounts will be more difficult but not impossible if you establish some rules prior to launch. In this scenario you might have an account structure managed under a Google AdWords manager account (umbrella accounts used to manage multiple other accounts). **Each account is nested under the MCC, aka manager’s, account. The optional “Brand” account would house keywords that overlap initiatives, such as branded search or keywords with a non-specific, broad focus that would be used to simultaneously promote multiple initiatives using features like ad extensions or through creative landing page testing. Link individual accounts to the most appropriate Google Analytics properties, link the manager account to your Google Analytics rollup properties, and grant user permissions to the applicable accounts. BOOM! Now you have a thoroughly broken down series of AdWords accounts. Each one pushing cost data to a specific Google Analytics view, and each one now has the ability to accept only certain users if deemed necessary. There you have it. Consider your reporting and management goals when establishing your AdWords account(s). If your comfort zone is more along the line of straightforward and simple then go with Option 1. If you desire more control and 100% accurate attribution modeling, then go for Option 2.